In 2001, a study conducted by a leading drug manufacturer determined that the antidepressant Paxil was effective and safe for use by teenagers. After reexamining data from that study, another study was published last week and drew the opposite conclusion. After reexamining summaries, internal reports on trials and patient-level data from the original study, the reanalysis concluded that Paxil has no clear effectiveness and that serious side effects were mislabeled during the study. The original 2001 study tracked depression scores of about 180 adolescents who were taking either Paxil, placebos or imipramine, an older generic antidepressant at the time. The study concluded that the Paxil group did not show better results than the other two groups, but in the area of secondary measures, Paxil stood out. The study concluded that on additional scales of mood problems, the drug performed better than the other groups. These secondary measures can be equated to circumstantial evidence in a court of law, in which the information is potentially valuable but is not as strong as primary evidence. These results were highly criticized and picked apart immediately following its release. The reanalysis discovered, through in-depth research into patient-level data, that the original study downplayed the side effects of Paxil. The study presented suicidal thoughts and behaviors as emotional lability and, in a way, disguised the drugs negative effects. Shortly after the original study was published, prescription antidepressant drugs for teens sky rocketed. 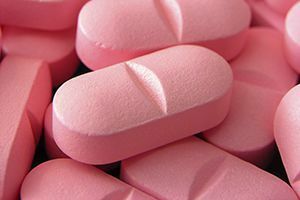 One analysis showed that the number of teens prescribed depression medication jumped 36 percent between 2002 and 2003. That surge later leveled off after regulators required a black-box warning be added to labels. Antidepressant trials are especially difficult to conduct because one third to more than one half of subjects typically improve while taking a placebo. Additional choices about how to measure improvement and label side effects can also play a role in the conclusions of a study. Despite this fact, the reanalysis brings to light important risks for teenagers taking Paxil. If you or someone you love has experienced thoughts of suicide or increased depression after taking Paxil, contact our injury lawyers Phoenix today to discuss your legal options.